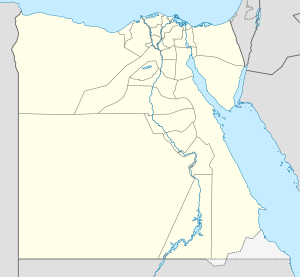 Taba (Egyptian Arabic: طابا‎ Ṭāba , IPA: [ˈtˤɑːbɑ]) is a sma Egyptian toun near the northren tip o the Gulf o Aqaba. Taba is the location o Egyp's busiest border crossin wi neighborin Israel. Little mair nor a bus depot an a luxury hotel (complete wi casino), Taba is a frequent vacation spot for Egyptians an tourists, especially those frae Israel on thair way tae ither destinations in Egyp or as a weekend getaway. It is the northmaist resort o Egyp's Red Sea Riviera. Taba wis locatit on the Egyptian side o the airmistice line agreed tae in 1949. Durin the Suez Crisis in 1956 it wis briefly occupee'd but returned tae Egyp whan Israel athdrew in 1957. Israel reoccupee'd the Sinai Peninsula efter the Sax-Day War in 1967, an subsequently a 400-room hotel wis biggit in Taba. Follaein the 1973 Yom-Kippur War, whan Egyp an Israel wur negotiatin the exact poseetion o the border in preparation for the 1979 peace treaty, Israel claimed that Taba haed been on the Ottoman side o a border agreed atween the Ottomans an Breetish Egyp in 1906 an haed, therefore, been in error in its twa previous agreements. Awtho maist o Sinai wis returned tae Egyp in 1982, Taba wis the last portion tae be returned. Efter a lang dispute, the issue wis submittit tae an internaitional commission componed o ane Israeli, ane Egyptian, an three ootsiders. In 1988, the commission ruled in Egyp's favor, an Israel returned Taba tae Egyp in 1989. As pairt o this subsequent agreement, travellers are permitted tae cross frae Israel at the Eilat - Taba border crossing, an veesit the "Aqaba Coast Area of Sinai", (stretching frae Taba doun tae Sharm el Sheikh, an includin Nuweiba, St Catherine an Dahab), visa-free for up tae 14 days, makin Taba a popular tourist destination. The resort community o Taba Heights is locatit some 20 km (12 mi) sooth o Taba. It features several lairge hotels, includin The Hyatt Regency, Marriott, Sofitel an Intercontinental. It is an aa a significant diving aurie whaur mony fowk come tae either free dive, scuba dive or learn tae dive via the mony PADI courses on offer. Ither recreation facilities include a new desert style golf course. Locatit juist soothwast o Taba is a protectit aurie on 3590 sq. km. This protectit aurie includes geological formations sic as caves, a string o valleys, an muntainous passages. Thare are an aa some naitural springs in the aurie. The aurie haes 25 kynds o mammals, 50 kynds o rare birds, an 24 kynds o reptiles. Syne Taba existit anly as a sma Bedouin veelage, thare wis niver ony real transportation infrastructur. Mair recently, Al Nakb Airport, locatit on the Sinai plateau some 35 km (22 mi) frae Taba, wis upgradit an renamed Taba International Airport (IATA: TCP, ICAO: HETB), an nou handles hauf a dozen chairter flichts a week frae the UK as well as weekly chairter flichts frae Germany, Belgium, Fraunce, Netherlands, the Czech Republic an Ukraine. Mony tourists enter via the Taba Border Crossin frae Eilat, Israel an a marina haes been biggit in the new Taba Heights development, some 20 km (12 mi) sooth o Taba, an which haes frequent ferry sailins tae Aqaba in Jordan, awtho thir are restrictit tae tourists on organised tours. Wikimedia Commons haes media relatit tae Taba. This page wis last eeditit on 10 Mairch 2018, at 20:08.